MutualBank introduces Mortgage Lender, Brittany Howey who brings more than six years of banking knowledge, specializing in unique customer experiences. She says, “My goal is to make your mortgage more than just a transaction. 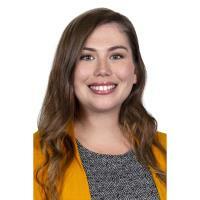 As your trusted mortgage advisor, I can help you prepare and manage the home-buying experience.” Brittany takes pride in accommodating customers with the best products to suit their circumstances. Her goal is to build a strong foundation on which the homeownership journey can begin. A former Senior Sales and Service Representative, Brittany is excited to be part of MutualBank where resources are invested in communities in which we live. In turn, she serves her community as a board member for Grant County’s Habitat for Humanity as well as involvement in local Rotary. Brittany offices from Third Street in Marion and available to her customer, based on their need.